Dr Bones and Nurse Amy: Medium Trauma Bag (value $219 plus $15 shipping) and a Doom and Bloom(tm) Survival Medicine Handbook (value $35 plus $3 shipping) for a total of $272.00!! The perfect Medium size Trauma Bag! 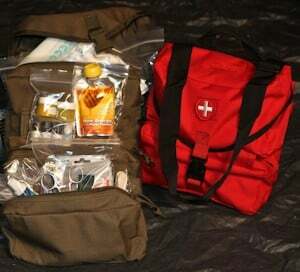 It includes everything in the MINI Trauma Bag in increased amounts plus a LOT more. A loaded bag with tons of great first aid supplies, including an Israeli 6″ bandage, Celox (x2), a TK4 tourniquet, instruments, sutures, steri strips, burn jels and seemingly endless gauze materials. Best of all it provides your family with awesome natural remedies including cayenne pepper powder, silver first aid antimicrobial gel and RAW unprocessed honey . This bag is a quality Voodoo medical bag, with long lasting craftsmanship! It has a carry handle, shoulder strap and molle compatible straps. This is one bag you shouldn’t be without. Grizzly Fire Starters: Grizzly Survival Fire and Stove ($37.95), along with a Grizzly Mini Survival Heater ($27.95) and to round this package out a 100 pack of fire starters ($119.00). Grand total is $184.90!! The Grizzly Survival Fire and Stove comes complete with 14 Grizzly Fire Blocks, a combined burn time of at least 7 hours. Boil water and cook emergency meals easily with this reliable method. The stove is reusable. 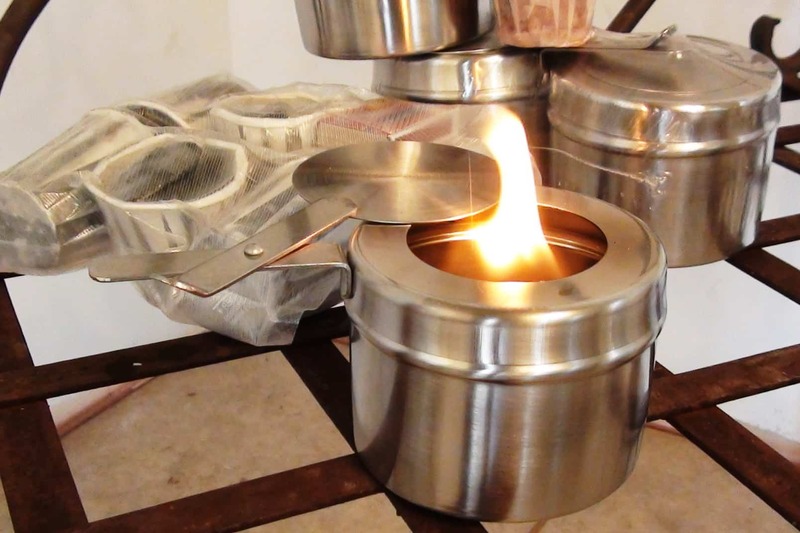 Store the Grizzly Survival Fire and Stove in your Auto, Boat, RV, Home – Take it Camping, Hiking, Hunting, Boating. 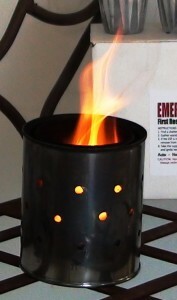 This Grizzly Mini Stainless Steel Heater is perfect for emergency heat. Grizzly Fire Blocks are designed to provide optimum heat and burn time, in the smallest package. A special blend that is based on fully refined paraffin wax insures a reliable fire that will light wet or dry. 6 #10 cans of Mountain House Freze Dried food are included. Value approx $124.00!! Prepper Press -Prepper Press is providing ANY 5 books that they publish. Your choice!! Deadwood Stove Company is awarding the 2nd Place Winner with a…yup, you guessed it….A Deadwood Stove!!!! Contents: 2 Beef Stroganoff, 2 Chicken Teriyaki, 2 Beef Stew, 2 Lasagna with Meat, 2 Noodles & Chicken, 2 Granola with Blueberries. FrogLube® is a revolutionary biodegradable lubricant made from ‘food-grade’ ingredients using a proprietary formula. 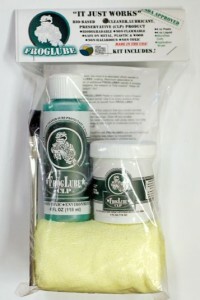 FrogLube® is a non-toxic cleaner that dissolves carbon on contact and suspends other fouling particles such as copper, lead, sand, dust and dirt found in gun barrels and deposited elsewhere in weapons. It does this by “seasoning” the metal-which means it adheres deep into the pores which results in a durable slippery surface affect. This seasoning improves after repeated use until the gun metal, bore and surface areas reach a saturation level. For this reason, it is best to apply FrogLube® when metal is warm, because heat causes expansion and opens the pores for more complete absorption. Seasoning is complete when additional applied FrogLube® is no longer absorbed. It’s like carrying your extra lube in your gun! CardSharp 2 – new improved superlight and supersharp utility knife, size of a credit card. Updated features include stiffer, polypropylene body (living hinges guaranteed for life) and unique safety lock (cannot open in pocket or drawer and child proof). Just three ingenious folding operations metamorphosise the card into an elegant pocket utility tool. Slimmer and lighter than an ordinary knife. By Iain Sinclair.